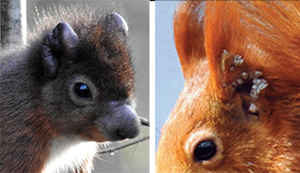 Our focus is on monitoring red squirrels on the Isle of Wight without using intrusive methods. 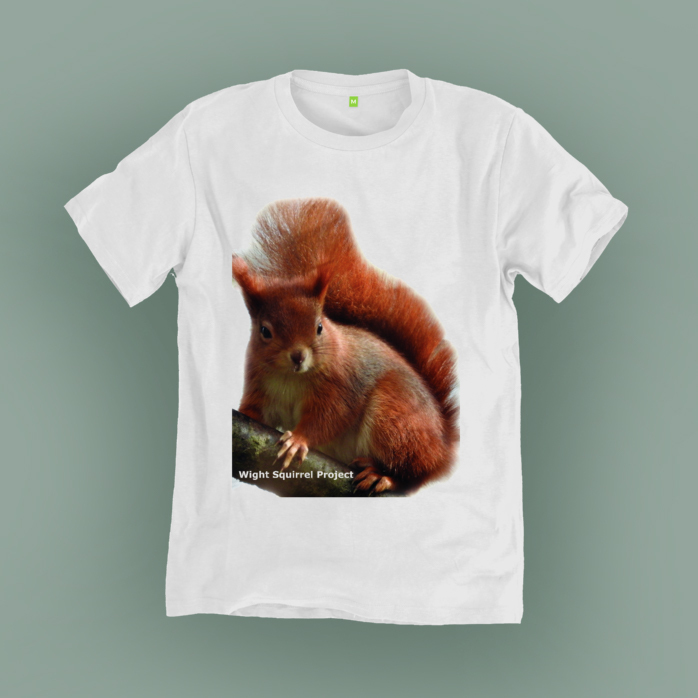 Red squirrels are sensitive and can die of stress when caught or handled. Most research data comes from you, the general public – this is called ‘citizen science’ and is extremely valuable to our research, although of course trail cameras, hairtubes and woodland surveyors walking a transect is the ideal way to go about it! Volunteers? We also take in sick, injured or baby squirrels for rehabilitation and then release them. Please phone us if you catch one, and we can arrange to collect it. 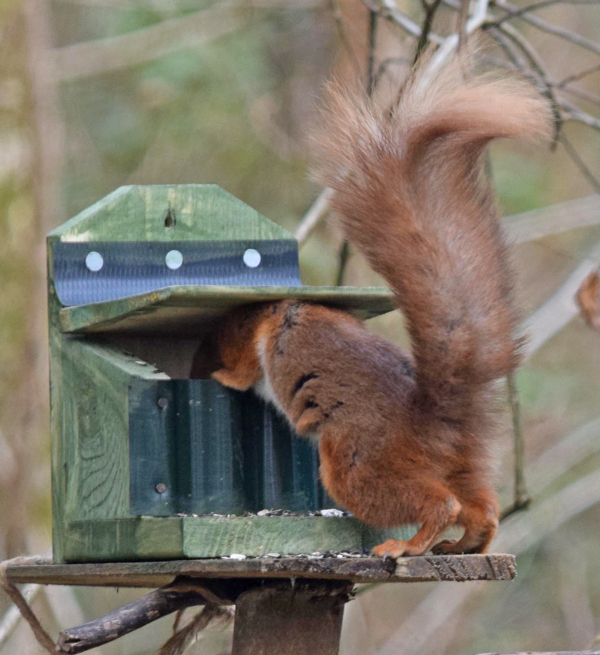 A paper is due to be published by Bournemouth University on island red squirrels. Wight Squirrel Project provided the DNA for the IOW from samples left from the leprosy studies done last year. Once this is finished, further genetic research is planned just for the Isle of Wight reds, again using the DNA Helen brought back from the leprosy study. The samples were collected from dead squirrels Helen had for post mortem examinations from across the whole Island. This way no squirrels were stressed by capture and handling. Plus it's much cheaper to collect tissue this way! Two very young babies were recently rescued from a very low drey in a bay tree which had been cut down in someone's garden. The last place you expect to see a drey! Helen put a box up for the babies and mum came back immediately, so I she must have been watching. 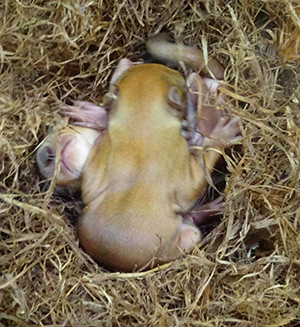 The mother and babies continued to live in the box, though it was barely 4' from the ground! A successful re-uni ofon mother and babies after what could have been a disaster! Advice leaflets are also available from various venues and from the Red Squirrel shop in Ryde High Street. Isle of Wight home owners with gardens, and land owners with woodland areas are being invited to participate in a significant project to map the habitat of the Isle of Wight’s iconic red squirrel. 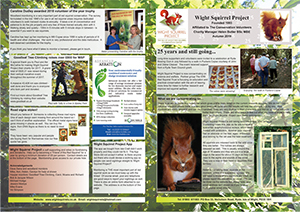 If you would like to participate, please contact us to arrange a survey visit of your garden or woodland – telephone 01983 611003 or email wightsquirrels@hotmail.com. The current project is due to be completed by the end of 2019. 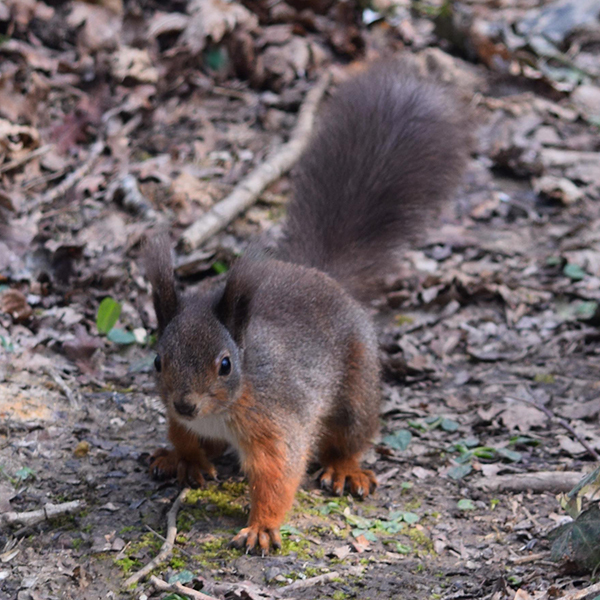 Leprosy was first diagnosed in red squirrels on the Isle of Wight in 2015. Visual signs to look for are unusual ear and skin lesions. If you see an infected, or dead squirrel, please report it to us as soon as possible. Ear samples were collected during routine post-mortem examinations on 92 squirrels found dead from all around the Island. Your squirrel sightings are vital to our research, so if you see a squirrel – alive or dead – please report it to the Wight Squirrel project as soon as possible. Use our online form, or see contact details below. If you suspect it’s a grey squirrel, we want to know that too! Get a picture if you can, otherwise a description of build, ears, tail details, size and behaviour. An accurate location is essential as well. 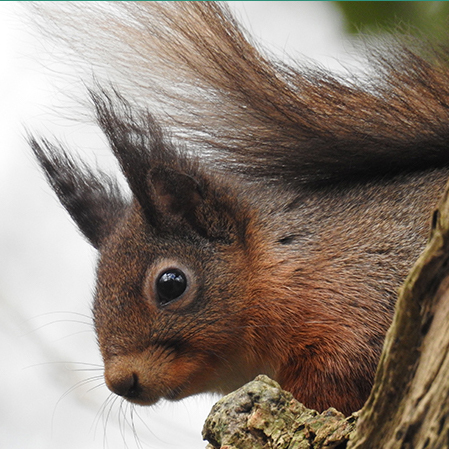 The easiest and most efficient way to offer financial help is to become a Friend of the Red Squirrel and set up a standing order with a donation. We also need volunteers to help us with walks, events and delivering newsletters. Please contact us if you can help. 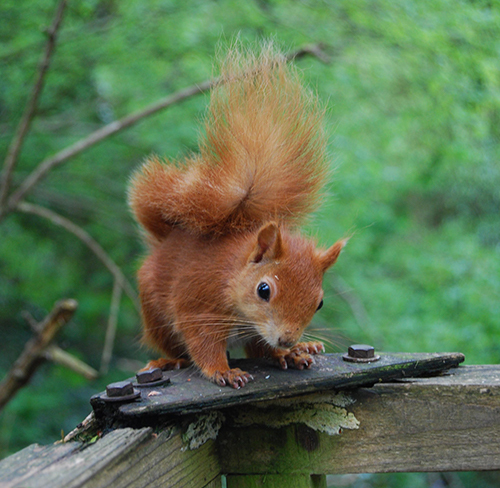 Feeding red squirrels helps their survival and provides hours of entertainment for you. They need a variety of food, not just peanuts. Hazelnuts, filberts, pine nuts, walnuts, sunflower seeds, coconut and fruit will provide a varied and healthier diet. NEVER feed brazil nuts or fatballs! Where gardens back onto woods, squirrels are often fed and can be spotted as they travel to and from the garden.